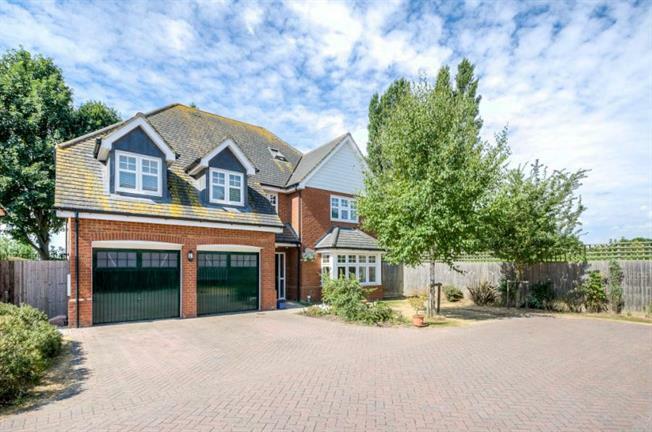 6 Bedroom Detached House For Sale in Bedford for £680,000. Very well presented six bedroom detached home situated within a quiet cul de sac of similar styled and sized properties. Offering accommodation set over three floors this property comprises in brief of entrance hall, lounge with feature fireplace, dining room, spacious kitchen breakfast room, utlity room and WC to the ground floor. Five bedrooms with two en-suites and a family bathroom make up the first floor. A large double bedroom with dressing area and en-suite makes up the top floor. Outside to the front and rear there are well maintained and attractive gardens which are mostly laid to lawn. Further benefits include adriveway leading to a double garage. Great Barford is situated to the east of the county town of Bedford. Conveniently located for easy access to major road links via the A1 and A421. Great Barford benefits from local schooling, shops, restaurants and public house.